What person or people matter the most to you? Is it your family? A parent? Both parents? A sibling? A child? A best friend? A lover? Or what about your pets? 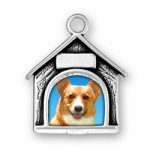 Do you have a favorite dog or cat? 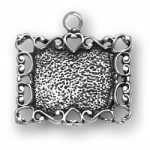 Whoever it is, take them with you wherever you go with a photo charm from Charm Factory. 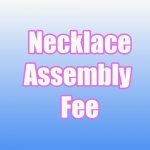 Charm Factory makes a wide variety of classy, visually appealing photo charms, picture frame charms and other charms that let you take your loved ones with you wherever you go. 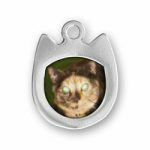 You can even request these photo charms be engraved—with a name or word or with any short phrase. 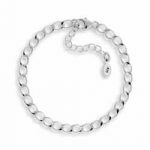 All of our charms are made of real .925 Sterling silver—and all of our charms are simply ideal for being featured on a zipper, key ring, drawstring, pendant, or on one of Charm Factory’s classy Sterling silver bracelets. 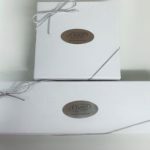 Take your loved ones with you into the world. If you live or work apart, be reminded every time you look in the mirror of just how much these people mean to you and just how happy you are to have them in your life. 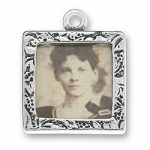 Photo charms from Charm Factory also make a wonderful way to remember loved ones who have passed. 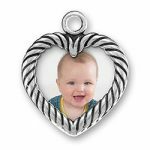 Let their memories live on forever in an engraved Sterling silver frame. 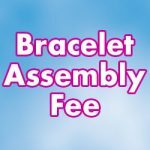 Create Your Unique Charm Bracelet Today! 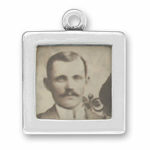 Order a picture frame charm online at CharmFactory.com.